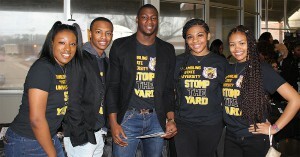 Potential Tigers and their parents flocked to Grambling State University from all over the country. Although residents of Louisiana and Texas were the majority, guests from California, Florida, Illinois and Oregon witnessed the GRAMFAM in action. 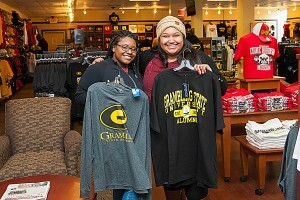 Others, like Brieana Fields, 17, from Houston, were visiting Grambling for a second time. She liked GSU before, so Saturday’s visit was to determine whether the school remains her school of choice after an earlier visit. Kemp and Fields were among more than 850 participants, counselors, parents and alumni registered for the black and gold “Stomp the Yard” experience. It was a record attendance number for a spring High School Day. Of that number, 257 students pre-registered and another 342 students registered on site. “Spring high school day has never looked this good or been this big,” Grambling State University President Rick Gallot exclaimed with enthusiasm. The president greeted visitors with warm welcomes, and he teased the crowd in the T.H. 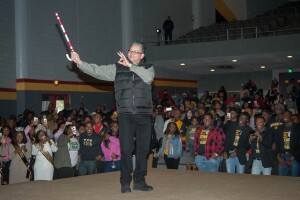 Harris Auditorium with a Kappa Alpha Psi Fraternity stroll, and a red and white cane. liveliest environments at recent high school days. DeVaria Hudson, GSU’s director of admissions, coordinated the day’s big event with assistance from the admissions and recruiting team. 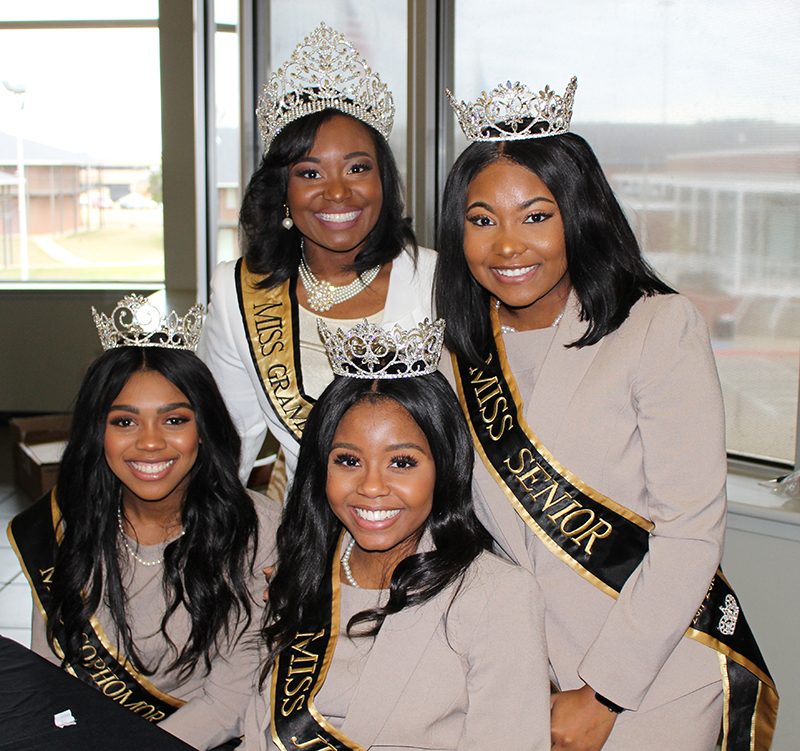 Ms. Dee, as she’s known to students, arrived in Grambling in April 2017 after a stint at Nova Southeast University College of Dental Medicine in Fort Lauderdale, Florida. The record-breaking turnout gave Hudson a lot to celebrate. She said student ambassadors were an important part of the success. 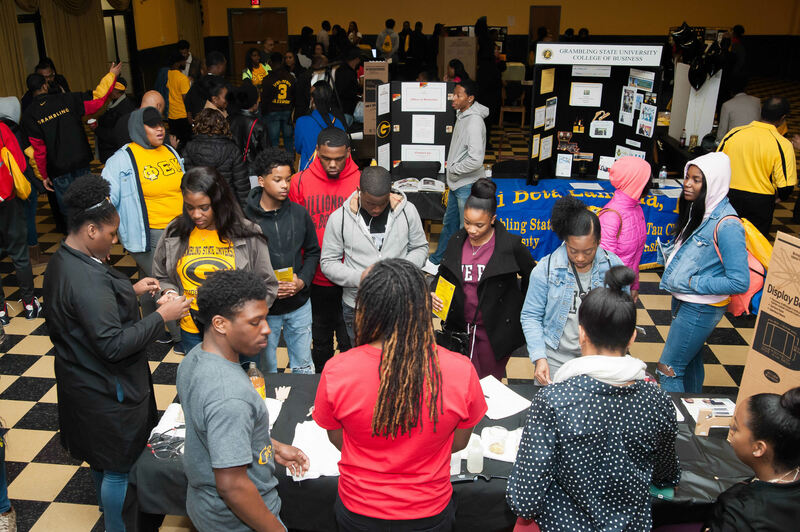 This year’s Spring 2018 high school day Robinson’s first big event, and she was pleased with the energy. “I feel like we showed them the best of our campus,” she said. 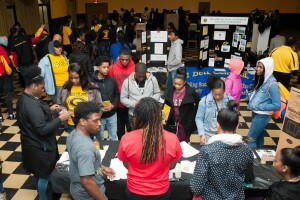 The next GSU High School Day is scheduled for Sept. 22. Miniya Shabazz contributed to this report.